The Eels Family: [Charity] The TEF Charity chain continue with indonesian eels. 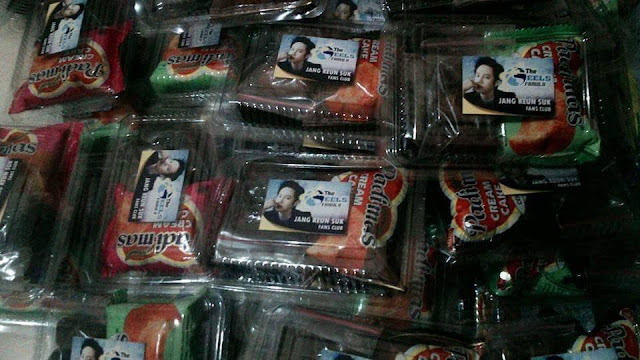 [Charity] The TEF Charity chain continue with indonesian eels. The indonesian eels strike back, they made another charity event in the name of Jang Keun Suk and The Eels Family. Event description: Share free ta'jil to passersby on the street. Ta'jil is snacks for break fasting. 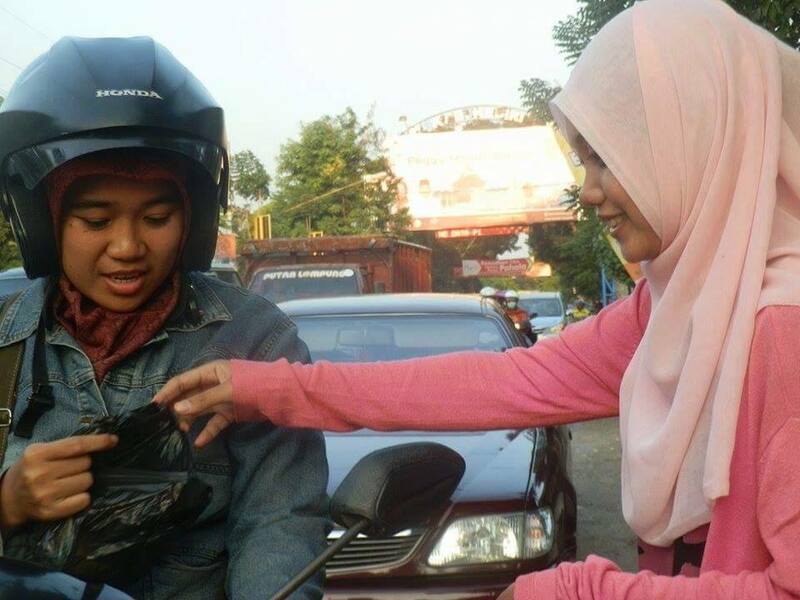 They gave the ta'jil to people who stopped at the traffic light. The TEF members with the banner. Members of TEF who participated in the this event Only one (Yani Cri). But she got the help from her little brother, parents and colleagues. 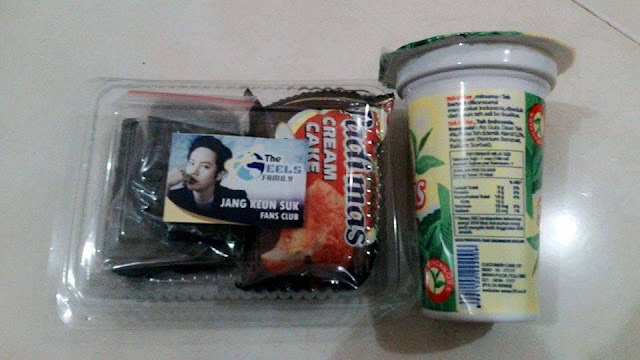 Donations content: In this time the snacks consist of brownies, date fruits, cream cake, and tea for drink. The snacks they donated to the passersby. 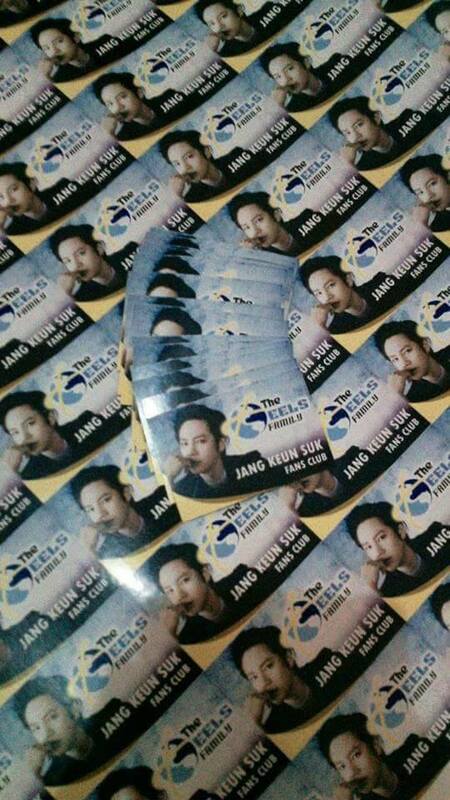 They made this cards with the JKS photo and the TEF logo. The eels from TEF in action. 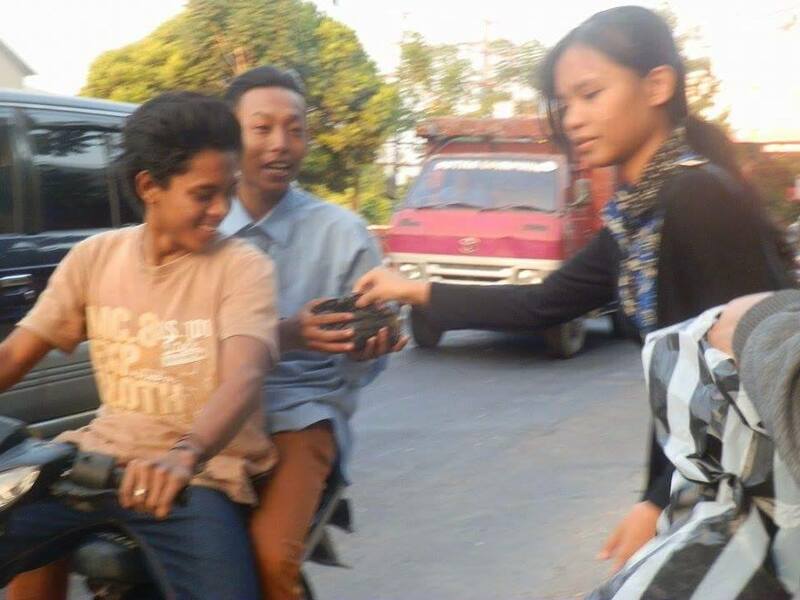 Reaction from the people: They look happy when the eels gave the ta'jil to them. 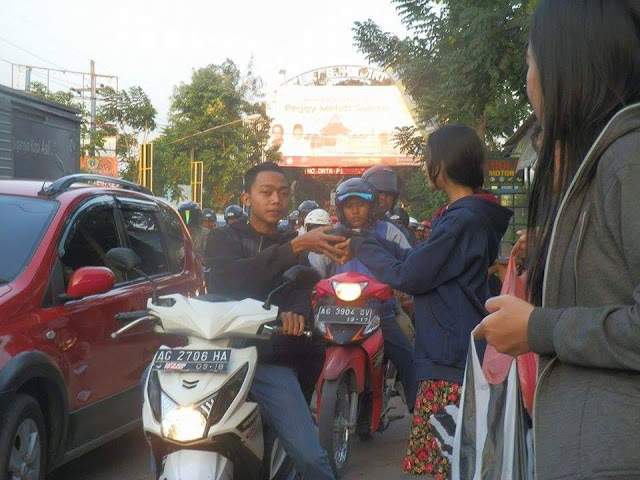 Some people approached them for took the ta'jil. Thanks for your efforts in help people and in promote Jang Keun Suk. We are proud of you, eels. wow! 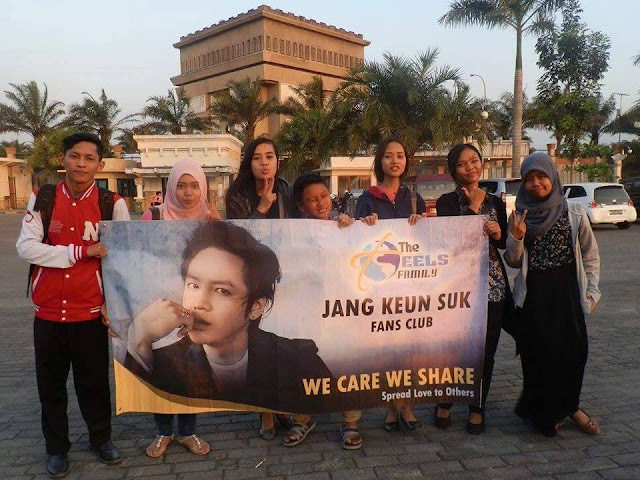 so cute, thanks eels indonesia, we are so proud of eels.